As vacation property management professionals, we work with managers and owners to increase online exposure and brand-building. 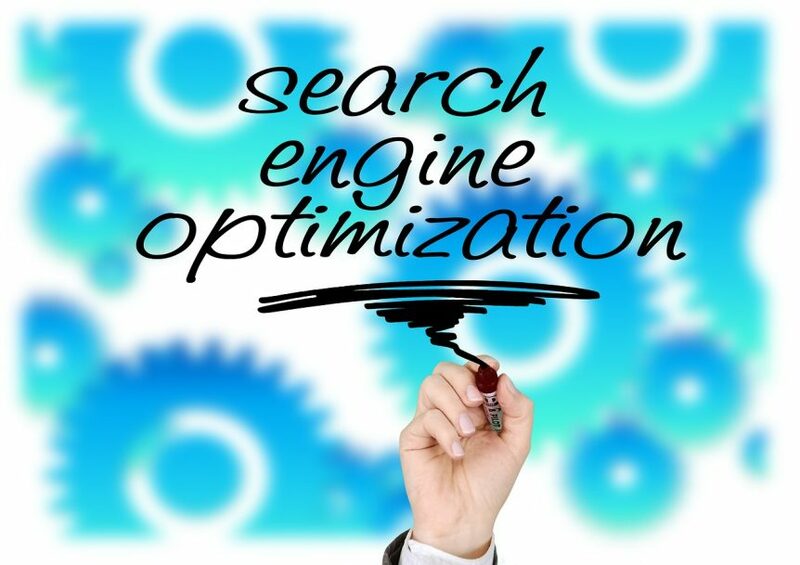 One topic that always comes up is the importance and process behind search engine optimization (SEO). In its simplest definition, SEO is the process used by websites to rank higher and gain online presence through search engines, such as Google, Bing and Yahoo. When implemented well, SEO efforts increase online rankings, enabling users to find company websites and listings more easily. But where do you start? To guide you in the right direction, we rounded up the top SEO FAQs and answered them right here. SEO seems tedious. Is it worth my time? Yes. With 64 million travelers booking online and those users searching dozens of sites before booking, SEO is not only worth the time but crucial to online booking exposure. If you don’t have a passion for SEO, it can become tedious and time-consuming. However, staying current with these trends makes the difference between a company that has the exposure and those that do not. If you want people to find you online, SEO is a must. Can I compete in SEO with the ‘big companies’? It depends. Companies willing to invest in revamping their websites and ensuring it is SEO-friendly can compete with big companies. It also depends on your marketing budget. Many industry leaders (such as HomeAway and Airbnb) can afford to spend millions a year on advertising. Most locally owned property management companies cannot spend this amount on advertising; however, they can find affordable ad options on Google, Facebook, Instagram, small listing sites and more. Can I get quick results in my SEO? Yes. Once a site has been SEO optimized, run Google or social media ads to start boosting your SEO and online exposure. This will create a spike in traffic. Although this spike may only last a day; it’s a quick boost to current traffic. For continuous long-term results, invest in an SEO strategy. Why Don’t I Show Up? You may fall short based on best practices. Too many people are competing for the same keywords. Your website isn’t SEO optimized. You have content that hurts your SEO value. Many factors go into ranking on page one, and no one should expect to show up on page one all the time. Start with these SEO tips, and if you don’t see any improvement, check with an SEO expert. Keywords have helped search engines find content since the beginning. After all, they need a way of recognizing and organizing what they find. Decades ago, someone could enter the same keyword phrase 10 times, and a search engine would find it. Well, that changed. Now, content flooded with the same keyword phrase will be penalized. The trick is to use keyword variations. Example: If you’re trying to rank for ‘Nashville vacation’, think of other keywords users will search. Some examples include: summer vacation home in Nashville, Nashville family vacation, Music City attractions, best cities in Tennessee and Nashville travel tips. Keywords not only narrow down the search, but also focus your content and gear it toward those terms. Keyword optimization applies to websites, blog posts, pay-per-click ads and social media. Remember your audience. If you use other helpful variations to describe the keyword, search engines will find it. What Is Content and How Does It Help SEO? Content is anything on your website. This includes your homepage, listings, blog posts, photos, internal and external links, headlines, page titles, meta descriptions and more. Every piece of content should be SEO-optimized to help your site rank. This includes photo file names and descriptions, listing copy, website pages, listing headlines, and any other words or images used on your website. Keep in mind, home pages do not need a lot of content. Make it easy for the user to see what your company does and encourage them to click deeper within the site. Also, remember quality over quantity. Don’t create 50 pages of mediocre content because it will not help you rank. Instead, create 25 pages of exceptional content that your audience will love. Not everything you publish gets indexed by a search engine, and they also look for content that is too similar to content you have already published. Don’t write a top 10 best restaurant blog post, then write a top 5 restaurant post including the same places/location. Instead, write a top 10 restaurants article and a top 10 family-friendly attractions. This way all content qualifies as unique and helpful to users. Which Matters Most: More Links or More Content? Content but not too much. When creating content, it’s important to first be useful. Keep content in short copy blocks and include links that help readers obtain more information. Try to keep users on your site. If you provide all the information they need, you don’t need to link to another site unless it makes sense. Example: Write a blog post about the top 10 restaurants in a destination. You can link to those 10, but don’t link to another top 10 list created by a competitor. Show the user that you are the expert and create content that others will want to link to, instead of the other way around. Yes. Local SEO helps businesses rank higher in the area they serve. Search engine sites, such as Google, treat local search rankings just like traditional search rankings. Its Pigeon algorithm takes local rank signals into account as well as helps Google evaluate distance when determining rankings. To boost local SEO efforts, provide local insights and content about your destination and consider creating a Google+ business page. What If I Have Bad Sites Linking to Me? Fix them. Search engines penalize sites for inappropriate links, so negative SEO is an issue they monitor. Bogus, irrelevant sites and content with your links will hurt your SEO. You can ask Google to disavow these links and may also reach out to the source. Unfortunately, many of these sites will ignore the request, and never pay a fee to remove a link. Yes, more than ever. Due to the increase of enhancing user experience, search engines want to help people find exactly what they need. If your business has no reviews or the reviews are low in both reviewers and quality, search engines will penalize you for it. Focus on improving business reviews. Always strive for five stars and address guest concerns before they leave a review. If someone does leave a negative review, respond in a timely and professional manner. Transparency is key. Should I Have a Mobile-Responsive Site? Yes. Again, it’s all about user experience. Search engine sites reward those that have them and penalize sites that do not. Not only should your site operate via mobile devices, it should be fast. Search engines also evaluate the design, user experience, content and speed to determine if your mobile site should rank.